Segment: Off the main Baldy Bowl Trail near the register to the Devils Backbone Trail near the junction to summit Mt. Harwood. 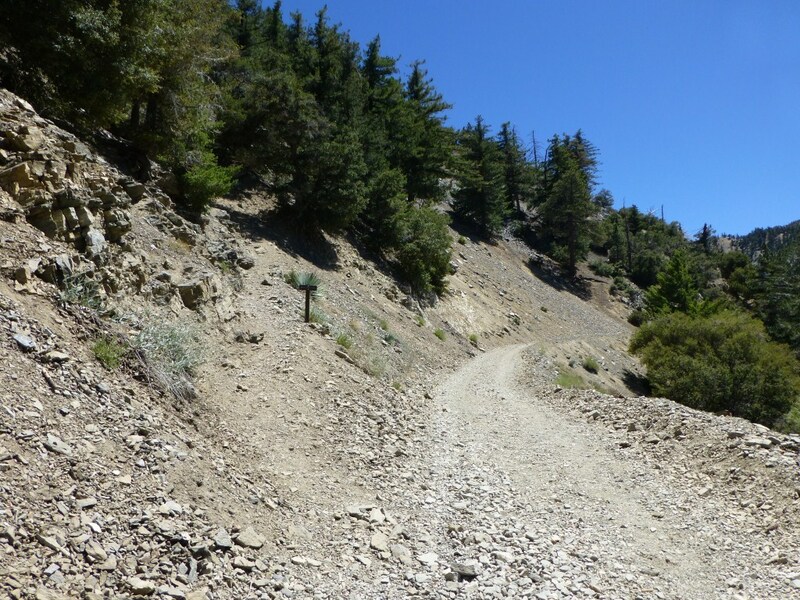 Stats: JCT Baldy Bowl Trail to JCT Devil’s Backbone Trail: 1.3 miles, 2480′ gain. 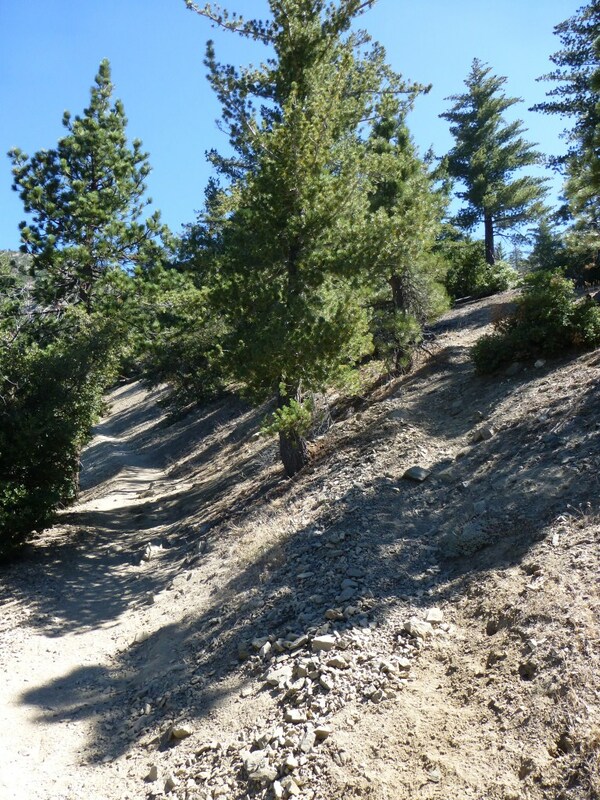 JCT Devil’s Backbone Trail to JCT Baldy Bowl Trail: 1.3 miles, 2480′ loss. Round Trip: 2.6 miles 2480′ gain and loss. This steep ridge trail segment connects the Baldy Bowl Trail to the Devil’s Backbone Trail. It is an unmarked “use trail”, but is reasonably clear to follow when you know what to look for. So, first you need to get onto the Baldy Bowl Trail from road leading up to Baldy Notch. Junction to Baldy Bowl Trail (left) from road to Baldy Notch. 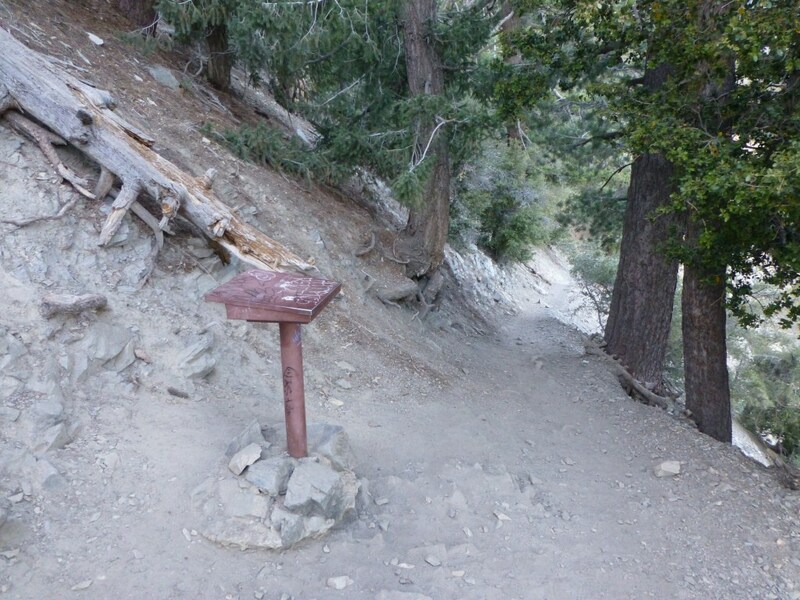 Note: the trail sign reads: “Mt Baldy Trail”. 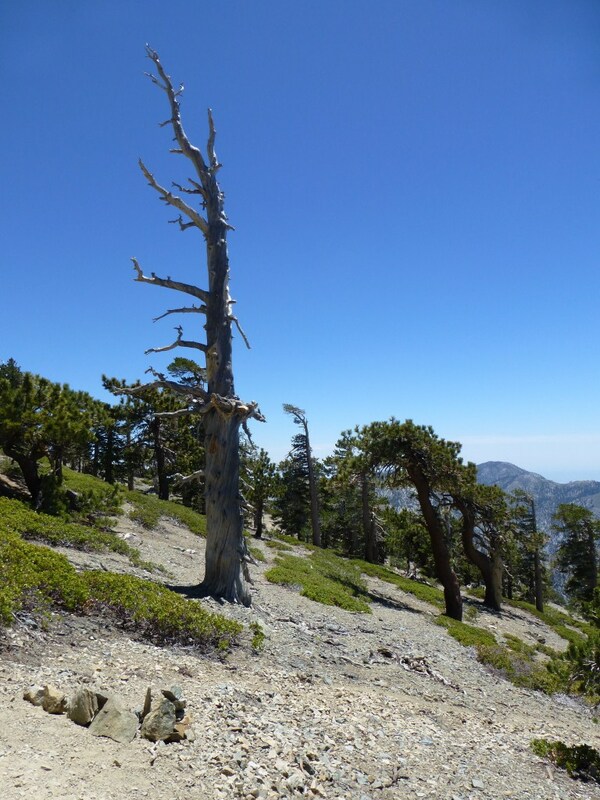 The Baldy Bowl Trail is also know as the Ski Hut Trail. Soon, you will pass the register. The unmarked junction for the Register Ridge Trail is located shortly after the register (about 0.2 miles from the junction with the road leading to Baldy Notch). Follow the trail up the ridge. The trail lets out onto the Devil’s Backbone Trail.